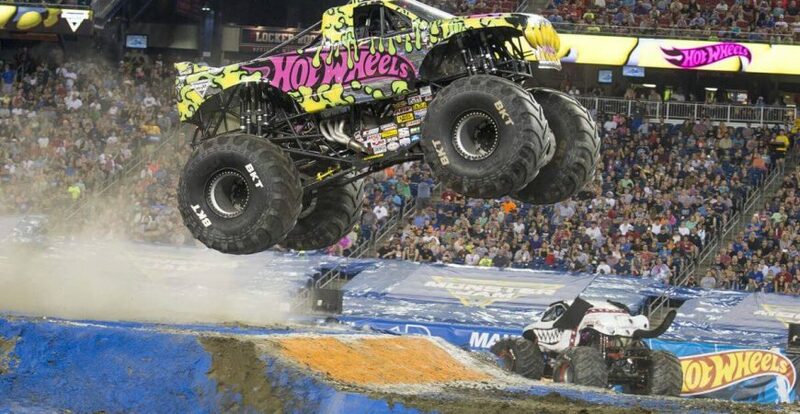 For decades, Monster Jam has been one of the biggest and most successful touring family shows in the United States. Monster Jam is one of the most exciting forms of family entertainment, featuring four-meter tall, five-ton beasts. The stars of the show are the biggest performers on four wheels – the trucks. These amazing machines bring fans to their feet while racing and ripping up a custom-designed track full of obstacles to soar over – or smash through. World-class drivers compete in both truck racing and freestyle competitions in one of the only sports where male and female world-class drivers, some generational rivals, are equals competing for the same championship on the same track. Combining high-octane, spontaneous entertainment with the ultimate off-road motorsport competition, the jaw-dropping displays will leave families on the edge of their seats. Monster Jam is a family-friendly event that will appeal to the young and young at heart, as well as lovers of motor and adventure sports and will be sure to have hearts racing. Monster Jam is a huge day out for all the family kicking off with the world-famous Pit Party. Before the show, fans have the opportunity to meet the Monster Jam superstars, get their autographs and take pictures with the trucks. This unequaled access allows fans to get amongst the Monster Jam action.